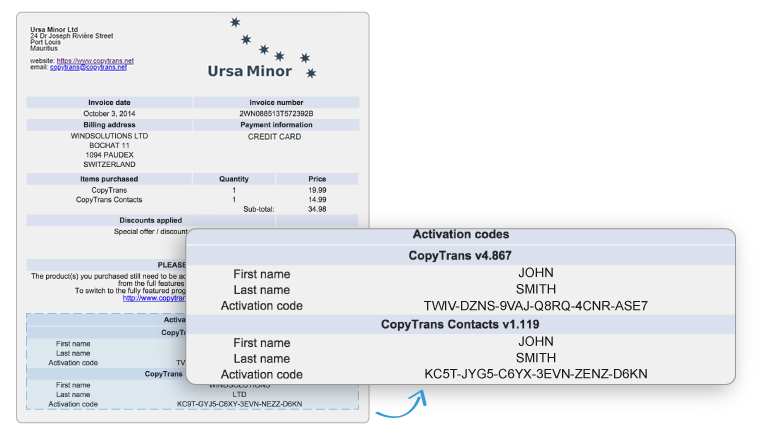 Here’s how to activate your CopyTrans product and get access to the full version. 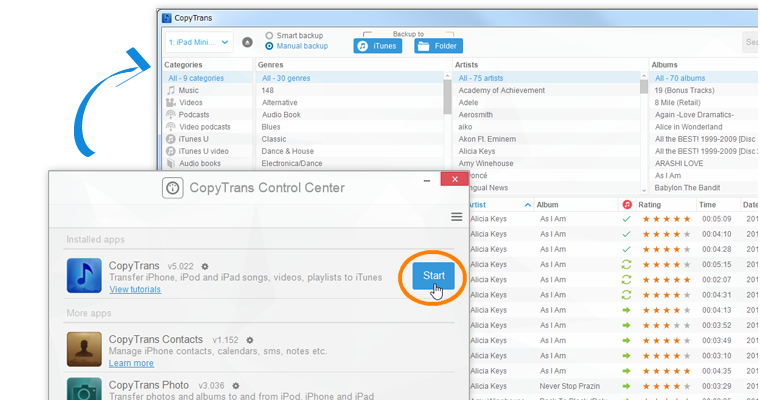 If you haven’t already installed the CopyTrans Control Center, please do that first by following our installation guide. Start the CopyTrans Control Center and open the program you wish to activate. Click on the Options button (upper right corner in the program) then click on the “Activate” tab. Now get hold of your invoice and look for your activation details at the bottom of your invoice: First name, Last name and Activation code. If you lost your invoice and need to obtain the activation code, please use our dedicated form. 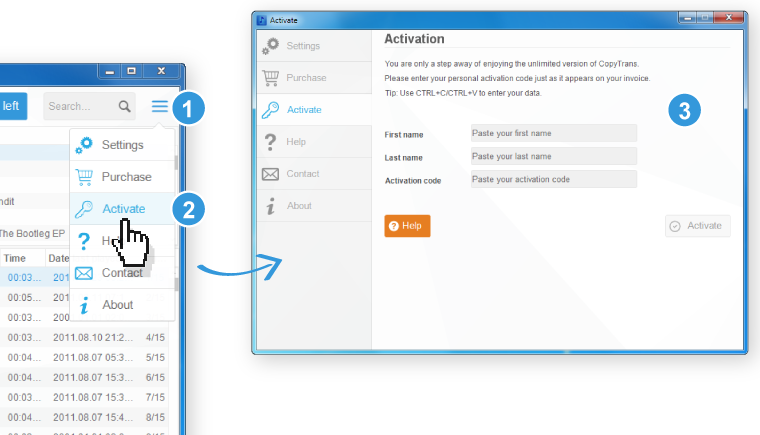 Copy and paste your activation details from your invoice (First name, Last name and Activation code) to the respective field in the program. If you purchased more than one product, make sure to use the activation code designated for the product you’re activating. The “Activate” button will become active when all three fields are filled out. Click on the “Activate” button. That’s it! You have successfully activated your program. NOTE: You must be connected to the Internet and allow the program through your PC firewall for the activation to take place.